Following a meeting with Quarry Area Manager an inspection of the quarry was arranged, with the area Project, Operations and Maintenance Team, as the site was reported to be having issues with dust emission. The transfer point under the tertiary crusher was a source of excessive spillage and dust emission. After many years of service and increased load due to plant productivity increases the belt was at capacity. This resulted in the area flooding and not containing the crushed material. Material turbulence generating huge amount of dust in the tertiary crushing process, was ultimately escaping and causing constant emissions from conveyor belt skirting system. Dust had been reported to cause issues and blockages of the spray nozzles and the site had attempted wetting the product, however this led to binding the screens further along in the next process. With the vertical impact drop height from the cone crusher being 2.5m and a lump size of minus 60mm provided evidence that the material was pooling, due to the material not moving in the direction of the conveyor belt. 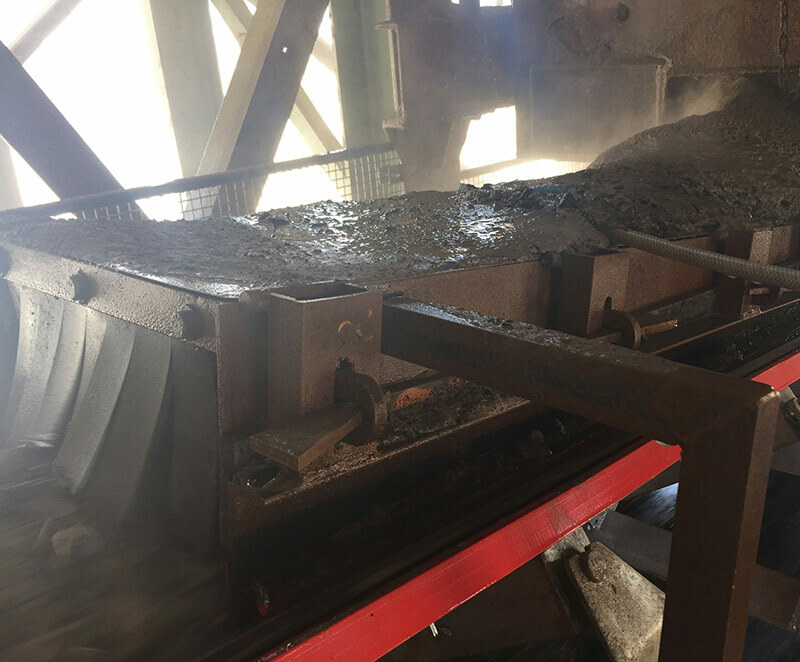 A combination of conveyor belt sag and inconsistent conveyor idler profile resulted in an ineffective skirting system, therefore resulting in the dust emissions and spillage. After an in-depth report was submitted, this Quarry elected to overhaul the conveyor by fabricating a new tail section and followed recommendations to install: a K-Shield Impact Belt Support System, a K-Sure® Belt Support System, K-Ultra Dual® Seal Skirting System and a Return Vee Plough. All 3 systems were installed during the week of the 19/09/2016. During the first follow-up meeting between the Kinder Australia Pty Ltd Operations Management and the Maintenance Team, on the 20/10/2016, it was recorded that the project upgrade was perceived as a very positive success, with minimal reported dust from the skirting system. The only dust reported was observed to be appearing from another source near the crusher discharge. A second follow up meeting with the Maintenance Team, was conducted on the 06/01/2017 and it was advised that the upgrade was continuing to meet the site’s expectations. Some additional positive observations, in that the site had experienced a reduction in downtime in the area, as the skirting hadn’t required any adjustment since the installation, usually conducted monthly. This was understood to be a combined result of the conveyor belt sag not allowing material to get up under the skirting, causing a pinch point and the polyurethane skirting tip, being an abrasion resistant material.